Review: How to suspend your Hammock Chair with a rope? How to suspend the hammock chair from the ceiling with a rope? How to suspend the hammock chair from the ceiling in your living room? Or in your bedroom? It is not as hard as you may think. The set is tested and certified by TÜV Rheinland (Germany), specialized for attaching hammock chairs to a ceiling and all parts are made in Germany. The hanging chair suspension set is weatherproof and UV-resistant which make it suitable for permanent outdoor use. 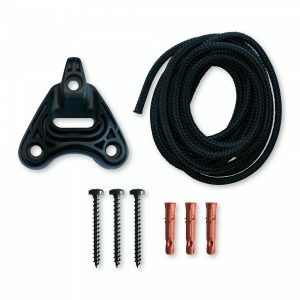 Using this suspension not only simplifies the adjustment of rope length but also ensures a fast and easy mounting and demounting of your hanging chair. 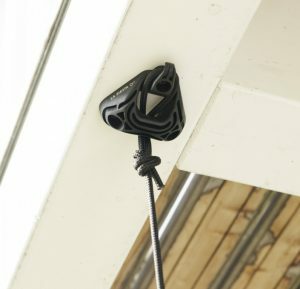 The hooks can be installed using only a power drill, a screwdriver, and a pencil and are suitable for attachment to various surfaces such as wood, concrete, etc. on walls, beams, or from ceilings. Step 4: Place the dowels. After placing them you may use a screwdriver for mounting the hook. Due to the Smart Hook, the adjustment of rope length is very easy. Now you only need to attach the rope to the hammock chair and suspend it.